Canadians have until Feb. 20 to comment on the proposed regulations for air passengers’ rights. This regulatory regime covers compensation for passengers for delays and cancellations. However, these regulations must go farther to truly protect passengers’ rights in Canada. There are fewer avenues for compensation if a passenger is denied boarding. There is no compensation for passengers who voluntarily give up their seats. Importantly, the major weakness of the existing and proposed Canadian regulatory regime governing airlines and passenger rights is the failure to appoint an independent watchdog that monitors airlines and their treatment of passengers. The airline industry can, as now under the existing Canadian system, regulate themselves on what is an honour system. As numerous reports by CBC News have shown, placing great faith in airlines to regulate themselves does a great disservice to passengers when there is not an effective watchdog in place. Under the proposed regime, airlines can deny passengers compensation for delays and cancellations due to a “maintenance issue.” The regulations leave it open to the airlines to determine what is a maintenance issue. In Canada, we used to have and now need the reinstatement of a commissioner to monitor airlines and ensure the proper handling of complaints to ensure effective and quick redress is made for the benefit of passengers and for transparency and accountability. Our current regulator, the Canadian Transportation Agency (CTA), has admitted its complaint process involves thousands of complaints it receives by passengers each year and is plagued by lengthy delays. With that, the Office of the Auditor General of Canada has the ability to determine the effectiveness of the CTA in doing its job of handling complaints related to airlines as it has done with the RCMP. As a lawyer, I know the public should not have to pursue matters in court given the numerous jurisdictional issues and inefficiencies of pursuing justice through the legal system. The airlines are well aware of the significant and numerous barriers of law, time and money passengers face, and so they continue on. Instead, the Trudeau government must give the CTA more powers and implement a code of conduct on airlines (which does not currently exist), including the authority to levy increased fines against airlines for a broader range of offences, including any acts of dishonest or other unethical behaviour by airlines. The CTA revealed that $1.6 million in fines were levied against all airlines in Canada over five years, and the CTA failed to collect a significant portion. This serves absolutely no deterrent effect. Consider that Air Canada made $2 billion and WestJet made $300 million in profits in 2017, these fines have amounted to nothing. Canada must adopt the European model and provide effective solutions for Canadians to address questionable or unethical industry practices of airlines. 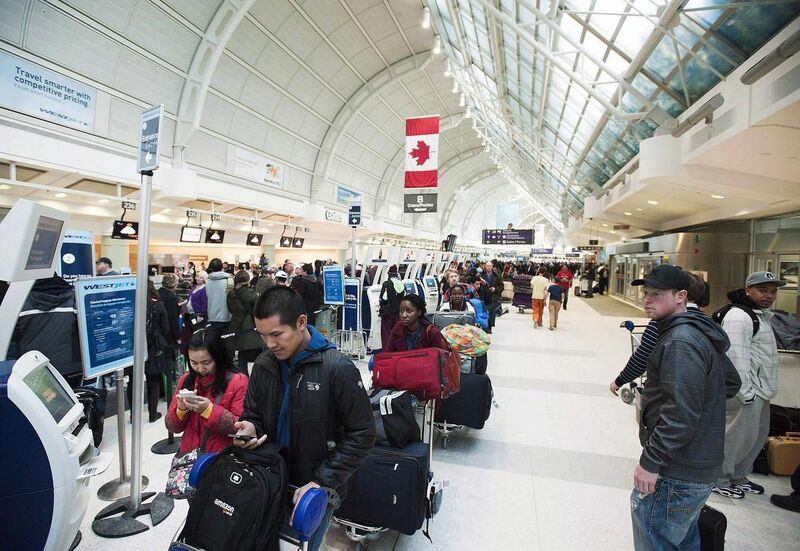 Canada must do better for air passengers — and we only have until Feb. 20 to be heard. Daniel Tsai is a professor at Humber College Business School and teaches Marketing and Business Law.